Something poignant about a lone gas station out in the middle of nowhere. Edward Hopper caught the feeling in a painting of a gas station surrounded by trees on countryside road. 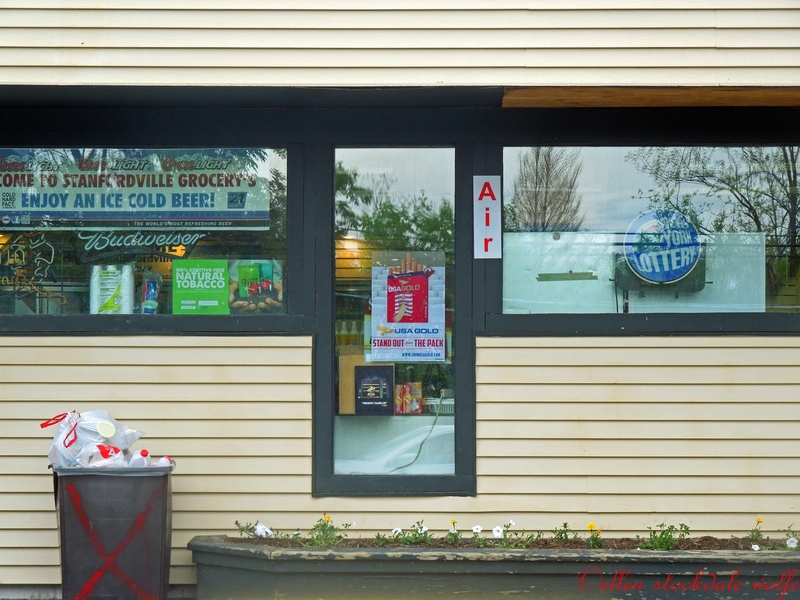 The reflections of the trees in the windows is a view of another world when set against the background of colorful signage, notices, and advertisements. This entry was posted on July 24, 2014 by stockdalewolfe. 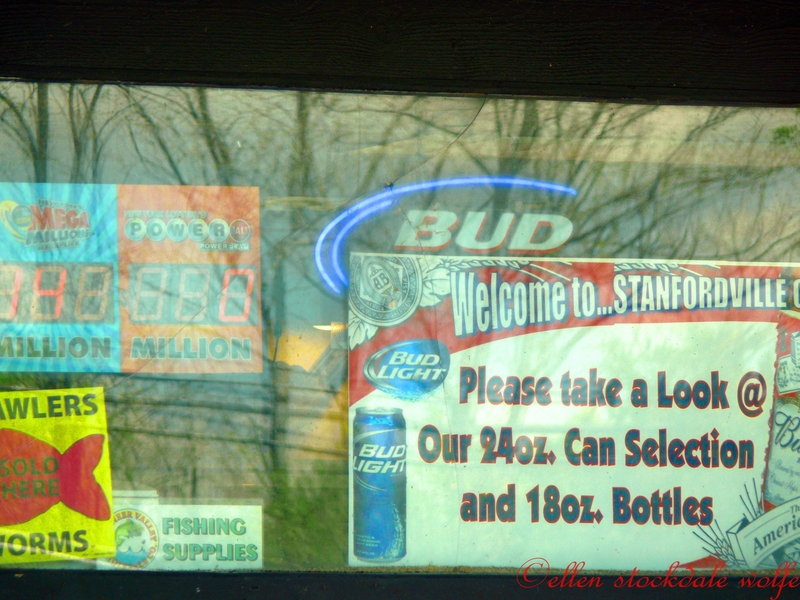 It was filed under Animal & Landscape Photographs, Street Photography, Uncategorized and was tagged with Advertisments, Americana, Beer ads, Car life, Color, Edward Hoppper, Gas Stations, Neon signs, Propane signs, Reflections, Rural gas stations, Rural life, Street Photography, Window reflections, Windows. A good metaphor for getting distracted by the obvious and so missing what is vital. 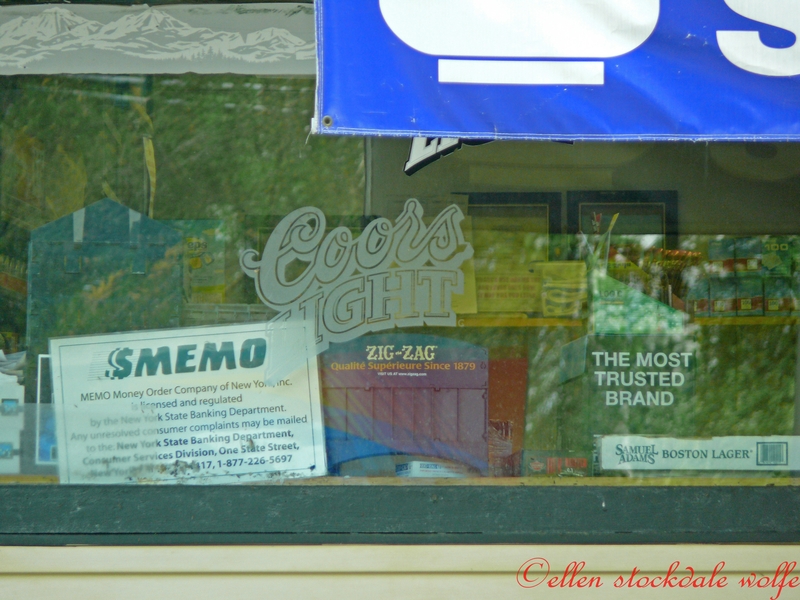 Love the juxtaposition of tree limbs reflected in windows filled with tacky advertisements. The sacred and the profane, or perhaps simply the mundane. Nature vs. manmade. Hi Kitt, It’s impressive that you got so much out of the photos. I felt what you said but could not have verbalized it. Thank you so very much for commenting and for all your support!! And for the Twitter work. I don’t tweet except when animal and environmental groups ask me to share a petition on Twitter. Yes. It has taken its toll this week. Thank you. I will be turning off the computer soon. I made a nice dinner and walked the dogs with my husband in the dark, which was pleasant as it’s been hot. 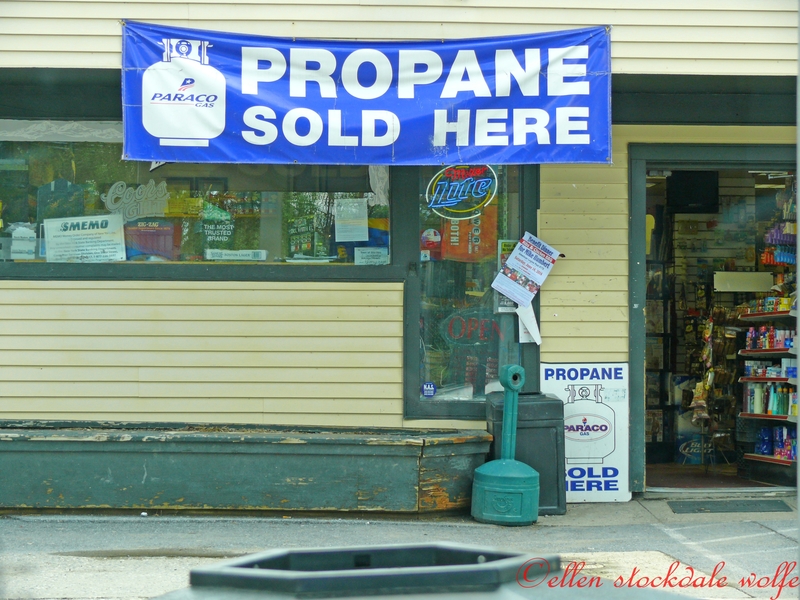 What with the beer and the propane, that’s one gassy shop. Great shots, Ellen! Great photos, Ellen. It reminds of the way there is an overlay of something natural and deeper upon our every encounter, if we’re open to seeing deeply. I love the irony of the cigarette receptacle next to the cartoon bottle of propane. 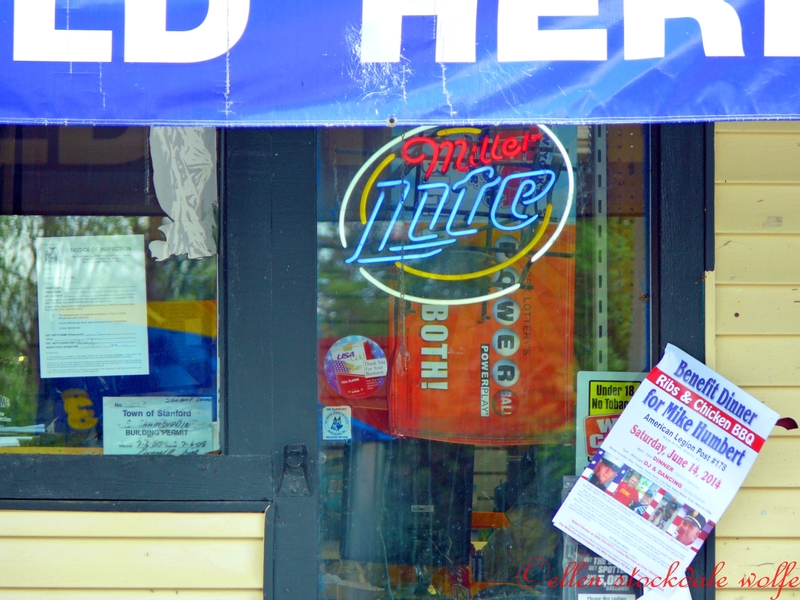 And I never ceased to be amazed at the niches that open up in an economy– like these stores that sell this particular medley of goods… movies, cigarettes, beer, fuel, lottery tickets and worms. You really can’t make this stuff up! Nice captures Ellen: composition, color and most importantly– place.